All of our Excel training public events are also broadcast live online. Below is how we do it and what you need. We limit our on-line classes in size, you can talk to the instructor during the training and most of all get help on your problems. We cover Excel for Mac on-line. We can reach you anywhere at anytime online. Our Microsoft Excel online training allows us to train yourself or your company anywhere in the world using the internet. When performing onsites, we can integrate different facilities in different locations. We can also match your time zone for onsite broadcasts, contact EMAGENIT for more details. Live, hands-on, talk to your instructor, small class Excel online training. During our Excel online courses, you will be working live with an experienced Excel instructor typing the problems for the course, hands-on, as the instructor types them. You will see our instructor's computer and everything they type and they can see yours when given permission. Our training classes are also limited in size so you can actually learn. Because our class sizes are limited, we can also discuss your problems in class and build examples around them. 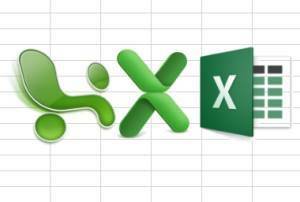 How do you signup for our Excel online webinar training? Use the Event Calendar item in the main menu to go to the Event Calendar page. Then under each class listing, look for the Online Webinar Dates section. Generally they are broadcast live when the public class in being run, sometimes they are run stand alone. You can also get to the signup by using the All Dates | Signup button where you see them for a class. We use Gotomeeting and VOIP to broadcast. We use GoToMeeting when broadcasting and also its VOIP feature to talk. To use GoToMeeting on your computer requires you to perform a simple download that does not usually violate security (always exceptions) and does not usually effect antivirus software (always exceptions). Be sure to try to download GoToMeeting before the course, as in days before the online Excel course, not 10 minutes before. If you cannot download it, give us a call and we will try to help. You can download GoToMeeting directly from their website at www.gotomeeting.com. This can usually be done by clicking the Join Meeting button in their menu and then punching in the meeting information. We can also use conference calling to communicate. You can also call in to a conference line and join us if your computer does not have a microphone. We can also call into your conference line if performing an onsite. Please let EMAGENIT know before hand if your computer does not have a microphone. Use another computer and projector to view the online training. Instead of viewing your Excel online training directly on your computer, you can also use another computer and projector to project the course on to a screen in a meeting room. Just log the other computer into our GoToMeeting session and let us know. This way, you can use your computer solely for creating the Excel online course problems without having to toggle back and forth between GoToMeeting and the Excel program screen. Use another monitor with your computer to view the online training. If using your computer alone to view our online Excel training, then we suggest you have at least two monitors hooked up. This way you can use one monitor to view the GoToMeeting session and the other screen to view your Microsoft Excel when creating the Excel online problems. USA west and east coast broadcast times. When we hold a west coast Excel online course, our broadcast starts at 8:30 AM PT which can accommodate both PT and MT time zones quite nicely. When we hold an east coast Excel online course, our broadcast starts at 9:00 AM ET which can accommodate both ET and CT time zones. That said, all times zones are welcome to join us for either broadcast and we will try to take strategic breaks for all involved. Our East coast broadcasts are seasonal. View all of our online classes >. What talking gear to use. When taking our online Excel training, we recommend using a headset or speaker phone if you have to use the conference line. That way you can type, talk and listen without having to hold a phone to your ears. We recommend Logitech microphones if you do not have a microphone for your computer and Logitech headsets for your phones and computer for quiet voice communication.